Previsouly on All American, Coop and Spencer butted heads about Sean and how Coop is changing and being affected by running with him. She moved out of the James' household and into Sean's house. Due to Coop's motivation though, Sean has begun to grow and change, he seeks out a job opportunity. Back in Beverly, Layla and Asher have hit a rough spot in their relationship. Layla doesn't like being complicit in Asher's lies in regards to his family's money problems. Jordan found out about Olivia and Asher's past fling and it put a rift in their relationship, although they were able to overcome it. Layla also found out about Olivia's feelings for Spencer but was unable to put her own aside and she and Spencer shared a steamy kiss, one that Olivia witnessed. 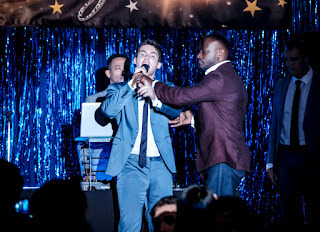 "California Love" is the last episode before the midseason finale of All American. Luckily for fans of the show, the CW has decided to pick up several more scripts, which leads me to believe we have a good chance of getting a second season renewal. I remember Mark Pedowitz, the current network president, commenting before about how much critical success matters, almost as much as ratings success. 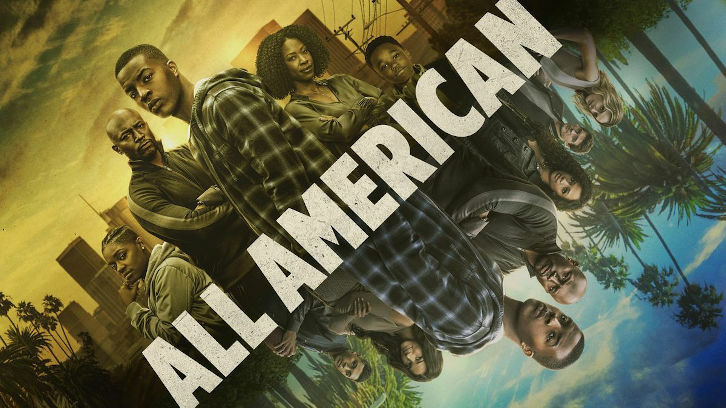 What All American may lack in ratings numbers, it has been making up for with the critics. Not to mention, I think it could get a boost during its second season when, over the summer, when people are able to binge the first season in its entirety through Netflix. Anyways, that's just me hoping desperately the show gets picked up because I've fallen in love with the characters and would hate to see it go after only one season! 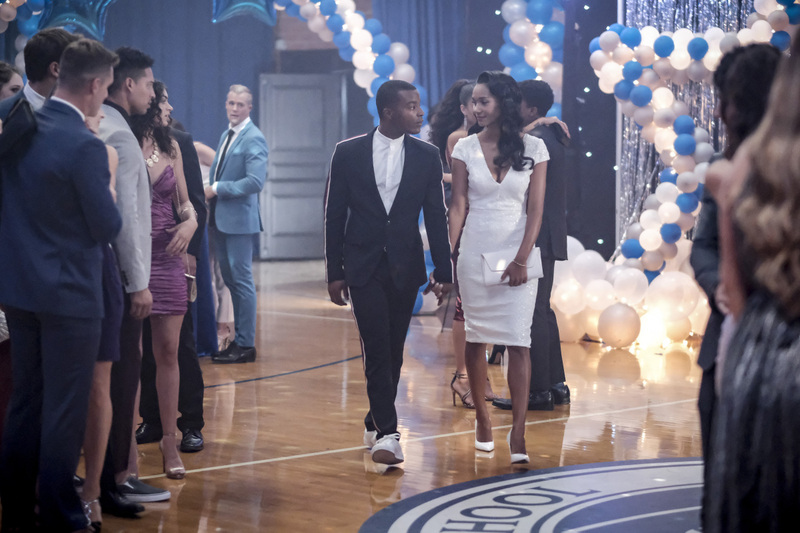 It's time for the homecoming dance at Beverly Hills, which always means drama. 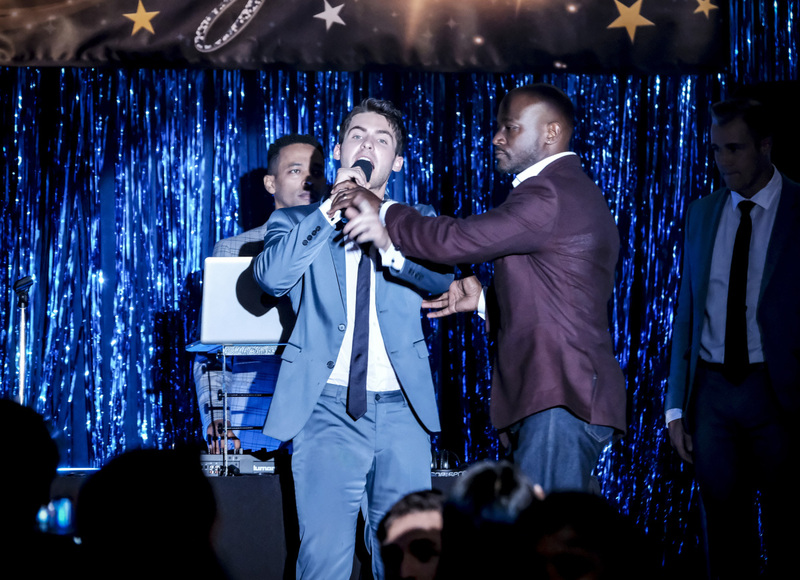 If you've watched any teen-centered television show before then you're well aware of dances: prom, formals, homecoming, they're all major events in television and All American is no different. These teenagers go all out to impress each other and their parents spare no expense. Olivia (Samantha Logan) actually gets a wonderful Cinderella moment this week I wasn't expecting. Multiple friendships will be put to the test this week as the show's strange, love triangle pentagon is further explored given the events that occurred last week. 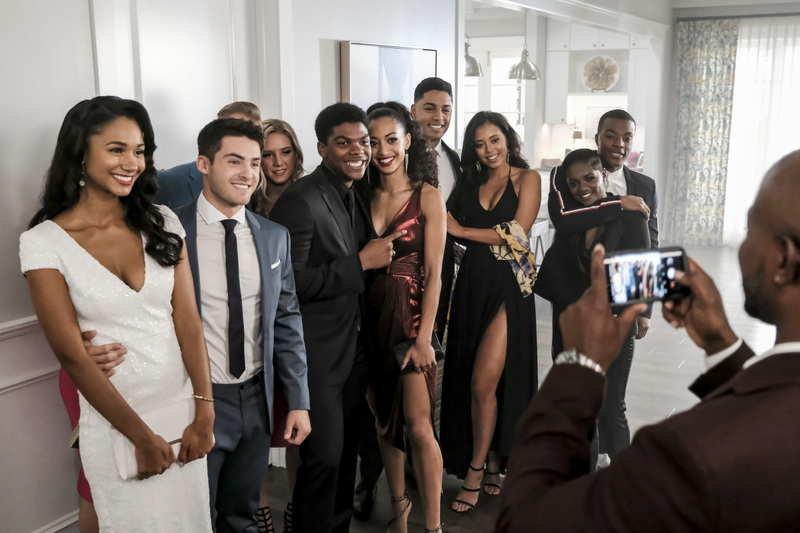 Spencer (Daniel Ezra), Asher (Cody Christian), Layla (Greta Onieogou), Coop (Bre-Z), Olivia, and even Jordan (Michael Evan Behling), all make decisions that will drastically effect each other and the course of their lives, as well as many others. 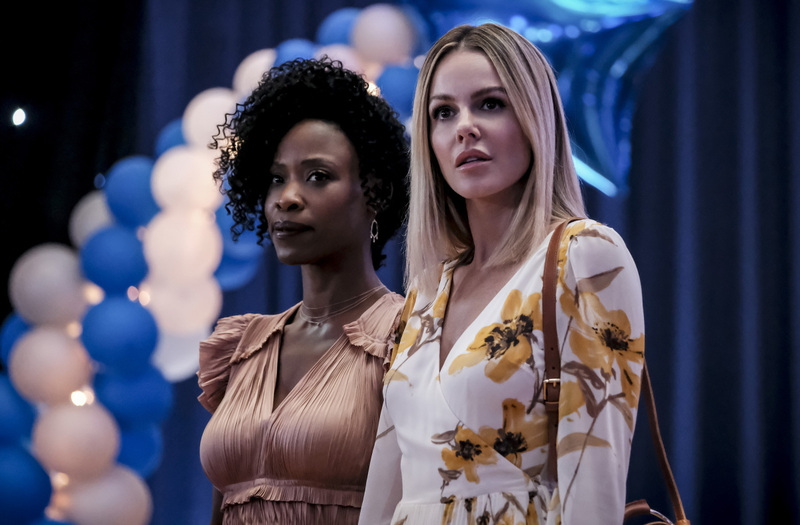 In one surprising scene, we get to see a nice moment between Laura (Monet Mazur) and Grace (Karimah Westbrook). I hope Monet Mazur gets more to do later this season as right now Laura just seems like Billy's (Taye Diggs) arm candy, the scene in this episode proves how elegant and kind of a woman this character is, one I would like to see fleshed out. It would especially be nice to get some scenes between her and Olivia to compare and contrast Spencer's relationship with his own mother. Due to Laura, Grace is tasked with chaperoning the homecoming dance and because of an unfortunate incident, she and Billy are forced to spend some quality time with one another. Billy finds himself defending decisions he's made since high school. Outside of the hallowed halls of Beverly, Coop is dealing with real-world issues. She still believes in Shawn and is intent on helping him find a life outside of the gang world he has come to know so well, but it won't be easy. Everything comes with a price. "Maybe we've just been holding on to each other for the wrong reasons." "It's party time, drink up." "It's like Dynasty in here." "I'm tired of doing the right thing." "How did this not make the 'Do Not Discuss' list." "Unfortunately son, you did this to yourself." "The last thing you need is anything complicated." "Can we finish our dance?" 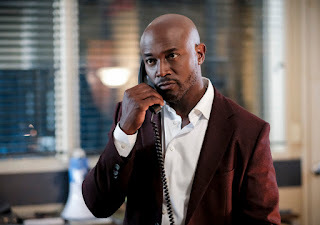 CHANGE IS COMING ON A NEW EPISODE OF ALL AMERICAN, DECEMBER 5TH @ 9:00 PM EST ON THE CW.